From large corporations to small businesses, everybody is spying on their competitors in the digital realm. Everything from social media to email marketing and online advertising is being scrutinized. Not only does it provide insight into how competitors are promoting their business but also offers up ideas on untapped opportunities a business can implement. If you are looking to get the scoop on your competitors, put your spy glasses on and keep reading. Determine your most important online competitors. The best way to look for your competitors is to perform a Google search for your main keywords. Let’s examine the baby niche market. 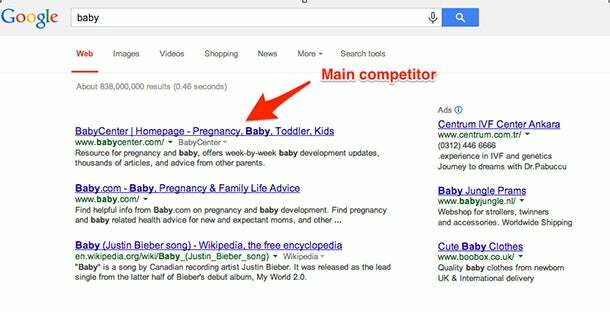 For your main keywords, choose the top competitors from Google’s search-engine rank. 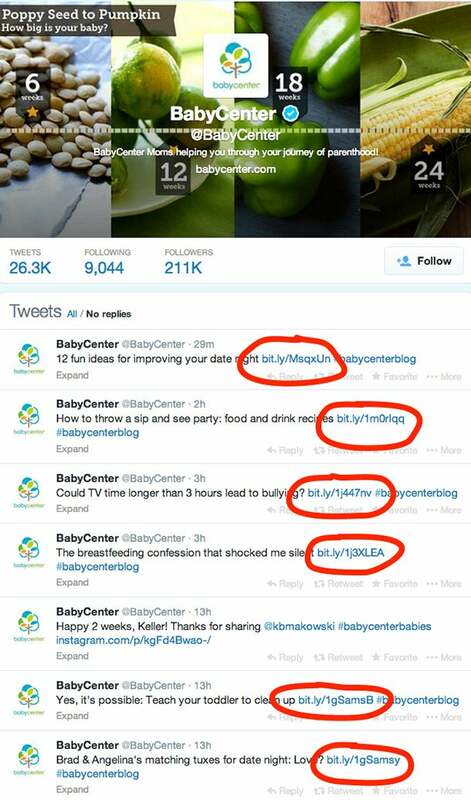 After a quick analyze of the metrics above, I chose to spy on BabyCenter's marketing campaign. Next, to determine what competitors you will go head to head with, focus on a few areas. To see how their traffic is ranked, turn to Alexa. For social media insight, look at their followers, engagement levels and frequency on various platforms like Facebook, Twitter and Pinterest. Lastly, check out their website or blog to see how often they post. Analyze social-media activity and engagement of competitors. To begin my detective work, I looked at social media traffic. To do this, I verified the Twitter account and checked to see if they are using a shortened URL for tweets. The most common one is Bitly.com. If your competitors are using it, you are in luck. In this case, my competitor does and this means I can see exactly how much traffic they are getting from their tweets. Choose a link that’s at least a few hours old. (I will choose to check the one titled “The breastfeeding confession that shocked me silent.”) Open the page and copy the full URL. 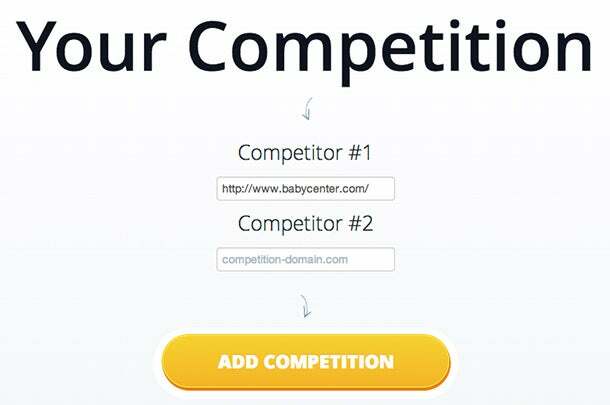 Go to Bit.Ly and paste your competitor’s link. Voila. Stats Galore. Do keep in mind you can do this by creating an account (click on view stats) or not (click on clicks). Click on the button “view stats” from the pop-up or just clicks if you didn't create an account. Not only can you get information about clicks but also other relevant data like geographic distribution. Check competitor’s SEO activity and traffic details. To analyze what your competitors are doing in SEO, you will need several tools. 1. SemRush.com: Provides information about what keywords are driving traffic to a competitor's website. Make sure you check the keywords that are not related to their brand. 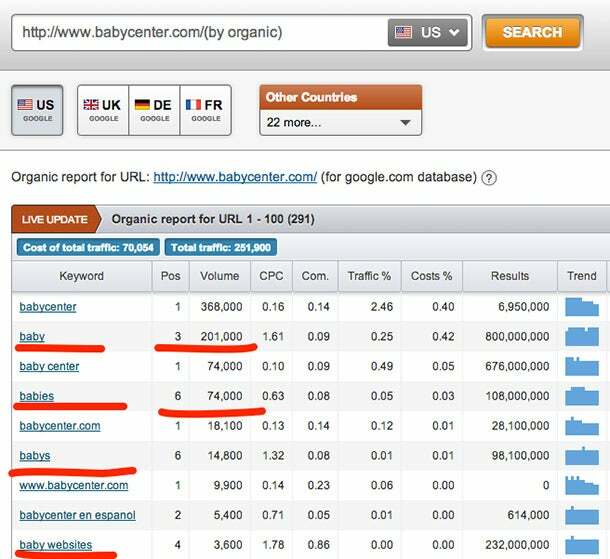 From the screenshot above, I can easily determine the most important keywords they rank for are baby, babies and baby websites. You can use SemRush to analyze all the keywords and find the long tail ones that are bringing traffic to your competitor’s website. 2. MonitorBacklinks.com. To rank high in search engines, you need to build or earn high quality backlinks to your website. A very common way to find new opportunities is to look for your competitor’s strategy to get links. For this, one of the best tools to use is MonitorBacklinks. You will have to connect your account with your Google Analytics and add your main competitors. Every week, you will receive all the new backlinks of your competitors in your email inbox. 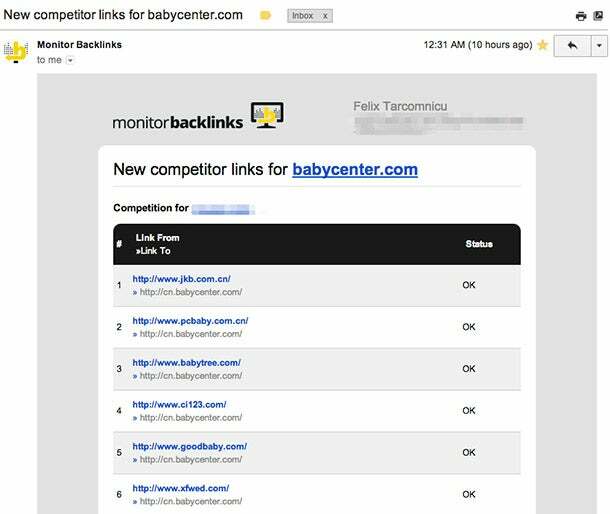 Below you can find an email sample of the new backlinks BabyCenter.com has just earned. With the list of backlinks your competitor has just earned, concentrate on building the same links to your website. This will help get more traffic, exposure and better rankings in search engines. 3. Alexa.com. To learn more about users' behavior on your competition's website, go to Alexa and type the URL you want to analyze. The metrics provided are fairly accurate, and they are good enough to make an idea about the traffic received by your competitors. You can determine the bounce rate (the percentage of people that leave after one page view), the daily page views per visitor and the average duration per visit. Compare these metrics with your website performance and see where you can improve. Sometimes websites have subdomains that are very popular. With Alexa, you can check the percentage of visitors for each subdomain too. In my example, from the above screenshot above, I can understand two important things. The first is that the BabyCenter.com has a forum visited by 25 percent of the users. And second, is their website has a translated version for the most popular languages. Tapping into your competitors' advertising campaigns. SpyFu.com. It’s often the case that your competitors will promote their website with Adwords or other advertising platforms. To learn more about their campaigns, go to SpyFu and add the URL you want to analyze. With SpyFu, you can determine their advertising monthly budget and the estimated traffic they are getting from these campaigns. 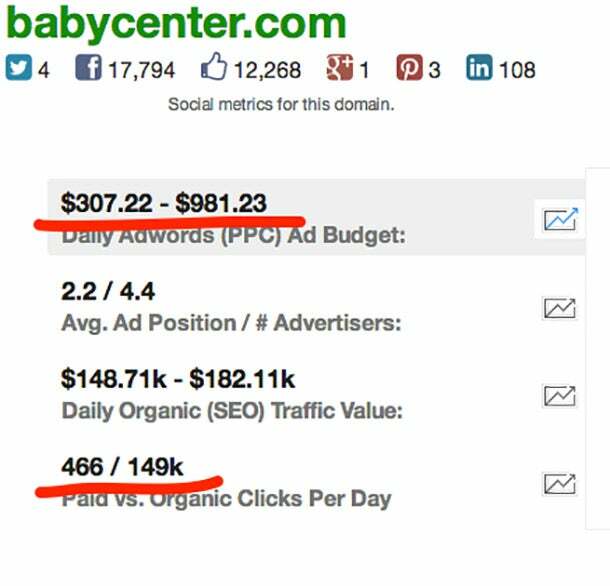 Each Month, BabyCenter.com is spending between $10,000 and $30,000 on advertising. If I scroll down, I can find examples of their best performing ads. If you plan to buy advertising, find your competitor's best ads and create a similar feel. Spy every move of your competitors. Besides the above spy techniques, to be a real online detective, you must spy every move of your competitors and be informed about their online-marketing campaigns on a daily basis. Follow all their social media accounts and find what posts get the most engagement from users. Check if they are hosting content. Subscribe to their newsletter and find what they share with their users. Create weekly alerts, so you know when your competitor’s name is mentioned on the Internet (Google Alerts works great for this). Using the right tools and strategies, can help you determine where your competitors are getting their traffic and their user’s behavior. You can replicate their online marketing techniques and discover new opportunities to promote your website.